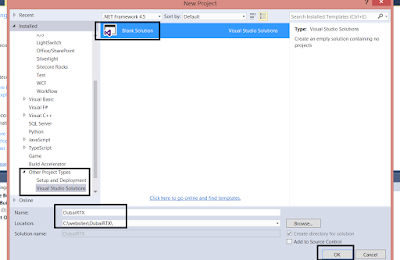 First to download the habitat demo site, cleanup and rename the project as per the requirement of the Project, and start working on the top up of the habitat. 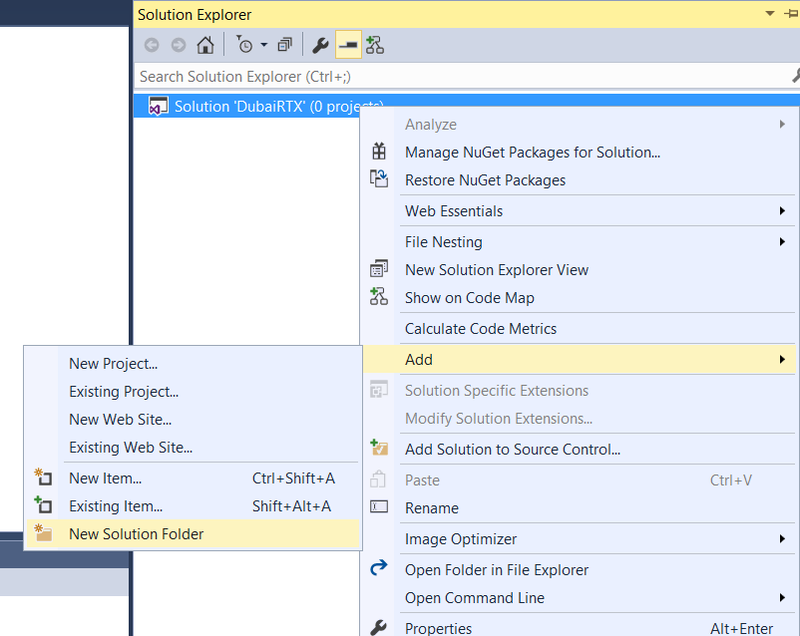 Second, create the solution from scratch means from blank solution. 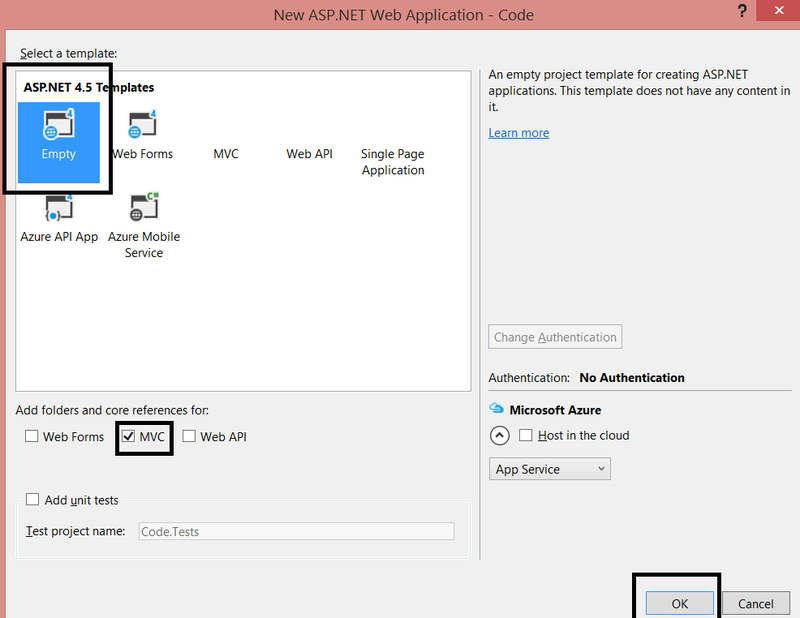 I always preferred the second approach, because we can have full control of the solution and no need to understand the existing site logic and complexity. So with the consideration of approach 2, here we are going to setup the site from scratch using Helix principle. 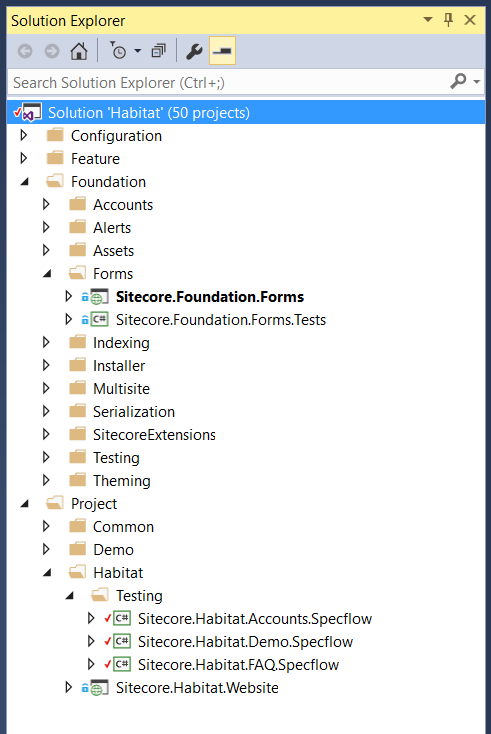 Hope you already have gone through the Sitecore helix principles, habitat documents, and training. 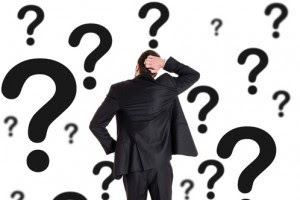 There was a lot of confusion regarding the Helix and Habitat terms, is it architecture? Principle? , design? 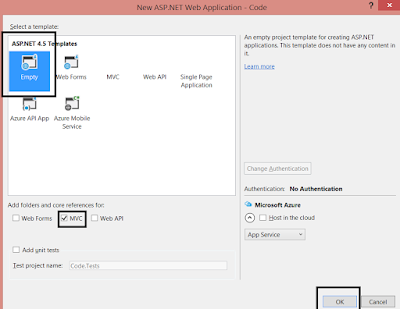 Sitecore accelerator, what exactly is it?? 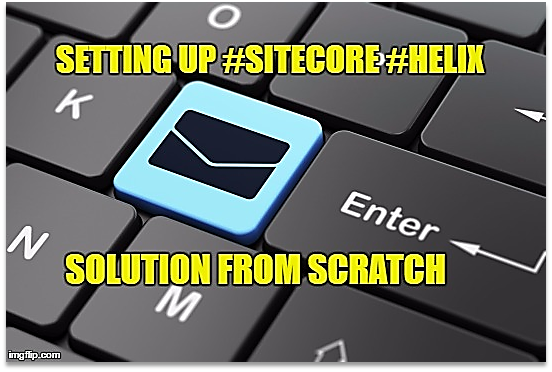 It was a big question mark in the Sitecore community when Sitecore introduced this in the September 2016. I am not going to explaining in detail what is helix and habitat? Helix is all about the structure, structure, and structure, Helix says to split your solution into the logical and physical structure. Everything thing is a component here. 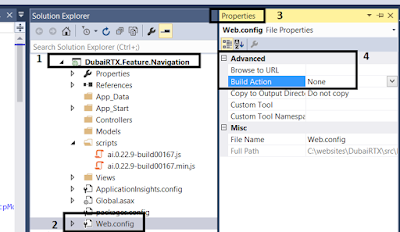 For maximum discoverability, the structure of the Visual Studio solution must represent the layer and module structure, i.e. 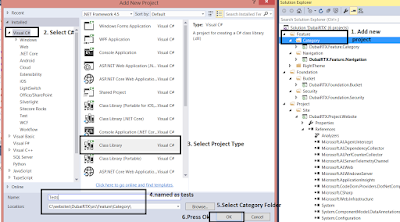 have solution folders for Project, Feature and Foundation layers and separate solution folders for each module. 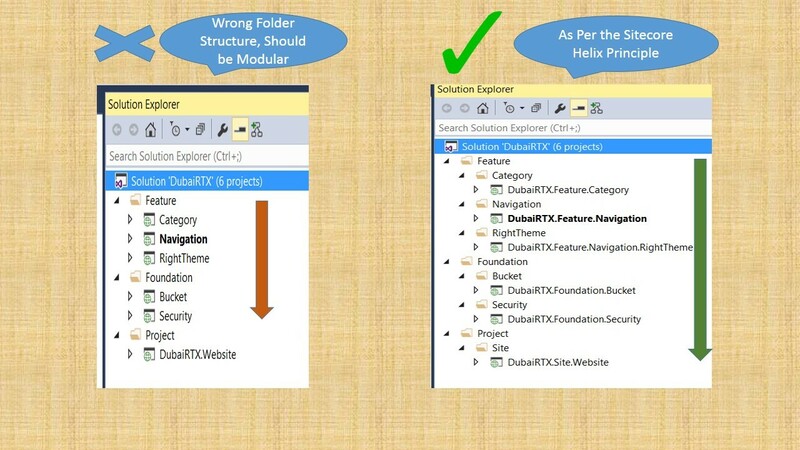 If there are any additional grouping of modules, these can have their own solution folders. 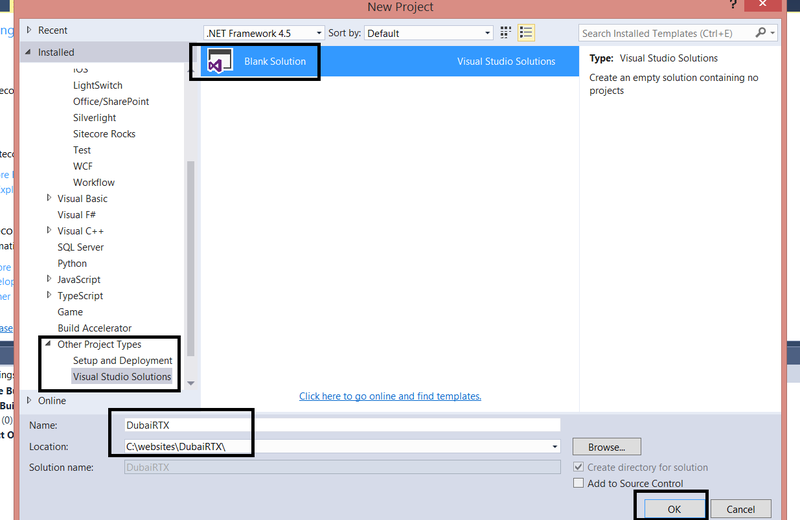 Then I set up the folder structure inside Visual Studio, adding the Project, Feature and Foundation folders. 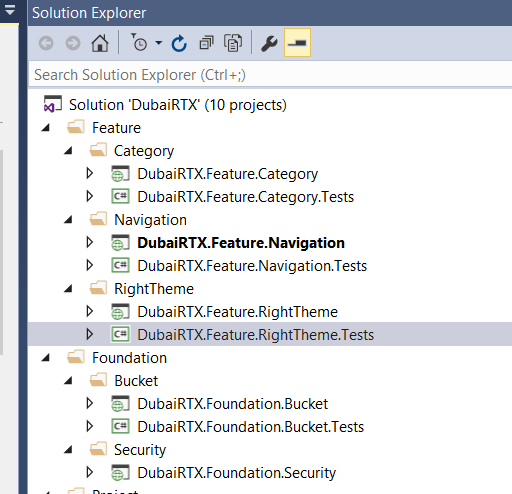 Solution folders are virtual, not physical. 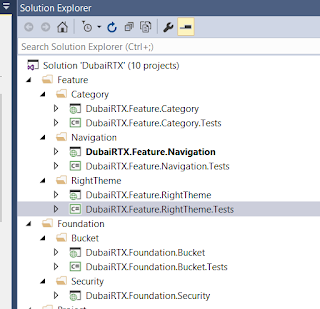 NOTE: it is very important to sync your visual studio folder structure with file system structure, Need to follow some discipline to maintain the structure. Helix solution has a fixed folder structure on disk. 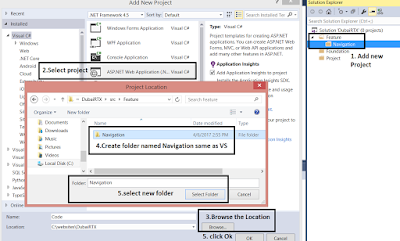 Create three folder under src, named Project, feature, Foundation. 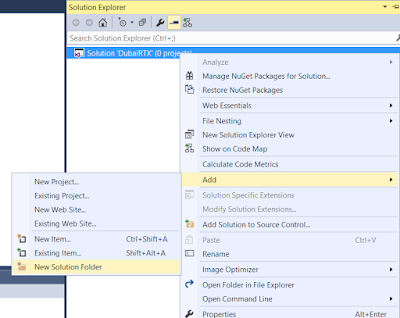 Now open the visual studio solution, and create the feature, Foundation, and project solution Folder in the solution. 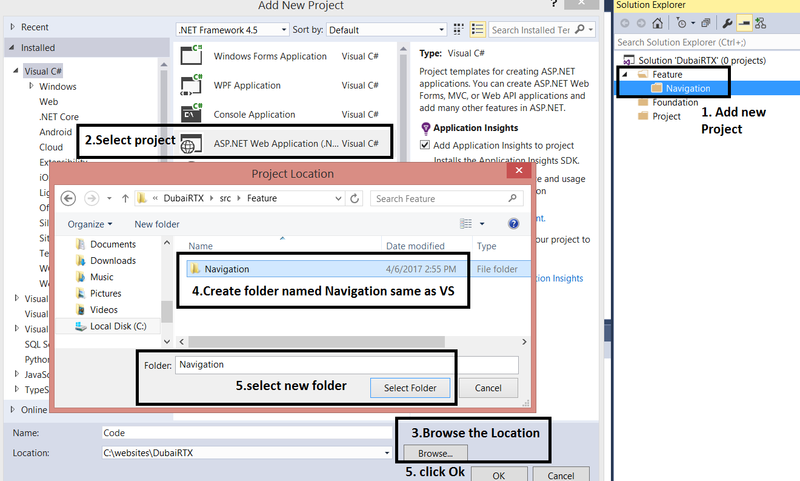 Now, we have three folder in the visual studio and same folder structure in the file system. 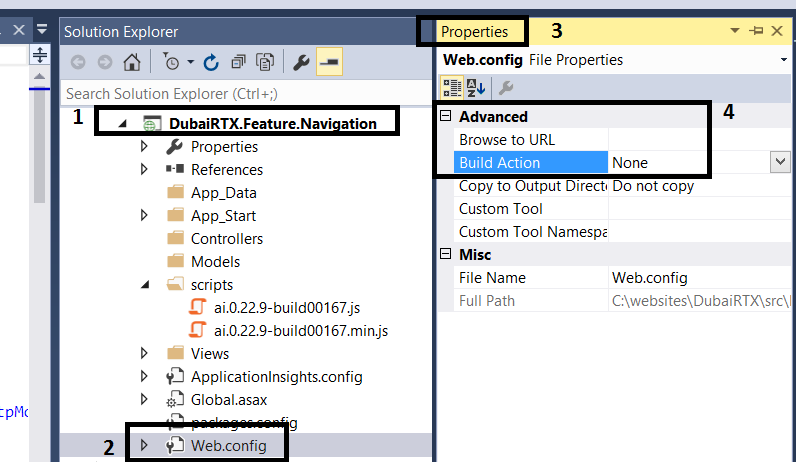 Now create the multiple modules under: Foundation, Feature, and Project layer. 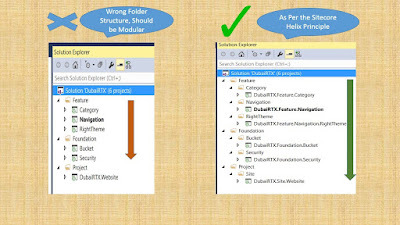 First we need to create the subfolder under each layer to categories in to modular format, means we should not create the project directly into the Project, feature, and Foundation layer as per the Helix principles. 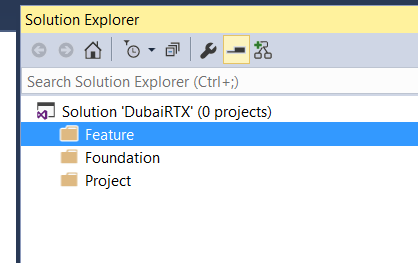 Named the project as Code. 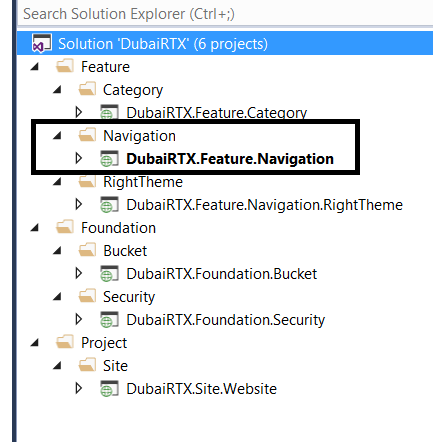 Note: it’s very important to sync your project with proper file structure, that’s why we created folder named navigation in the feature folder and created the project by name called code, because we need to maintain all the project file under the code folder, and it will create the folder directory into the >DubaiRTX>src>feature>Navigation>Code>project files. Rename the Project name from Code to DubaiRTX.Feature.Navigation as per Helix naming principles. I have done the same exercise using the above-mentioned steps for 6 projects. 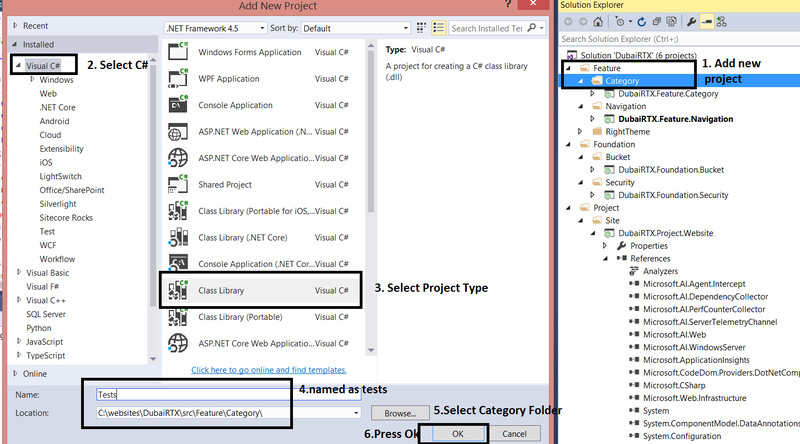 Projects are grouped together in a solution by the layer and module to which they belong. 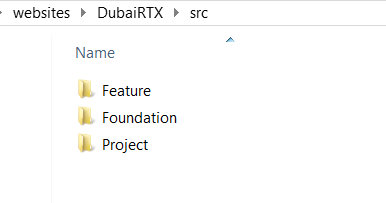 As per the Best practice, all code should be in src folder, then there are 3 layers named feature, Foundation, project. 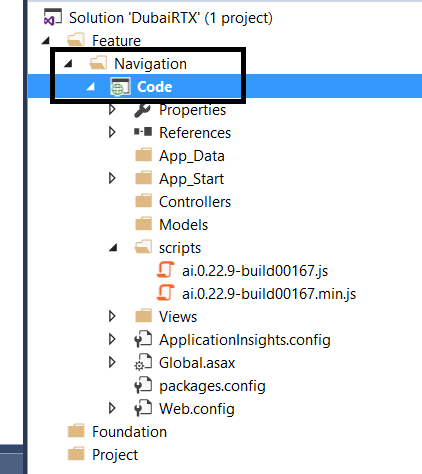 In each layer, there is a module name, under module name, there is Code folder named where the actual code file is placed. 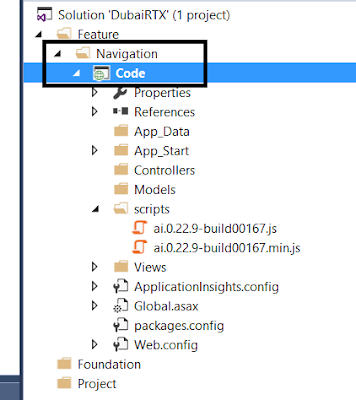 The very first thing came into my Mind for automation is PowerShell, yes I am the big fan of powershell, it is really very powerfull by its name as well. 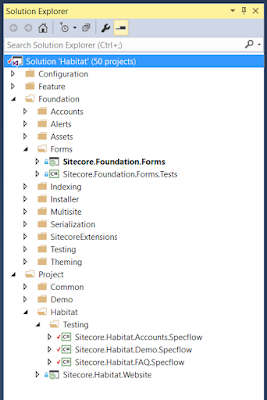 I hope this article will help you to understand the basic concept’s to setup the Sitecore helix project from scratch.